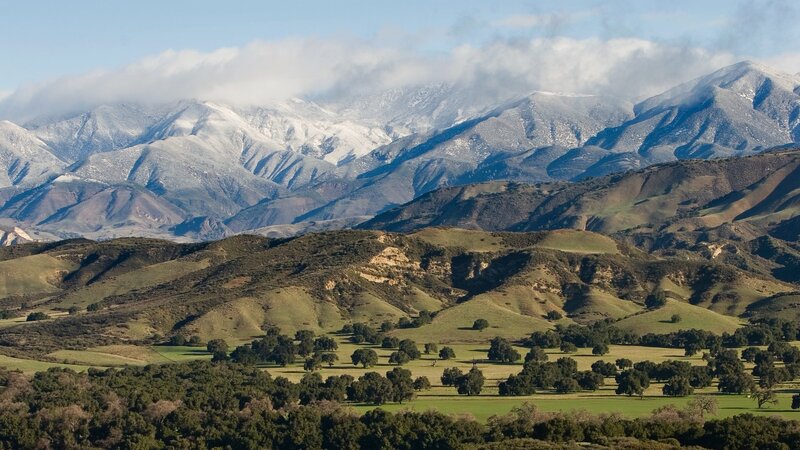 Central Coast of California in Santa Barbara County Wine Country. 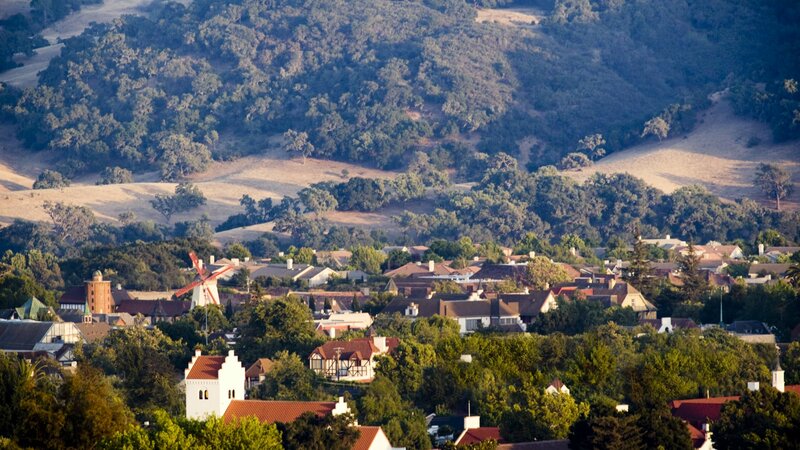 Solvang is just 35 miles (56 km) from the south facing beaches of Santa Barbara, and 32 miles from the west facing beach at Vandenberg Air Force Base. 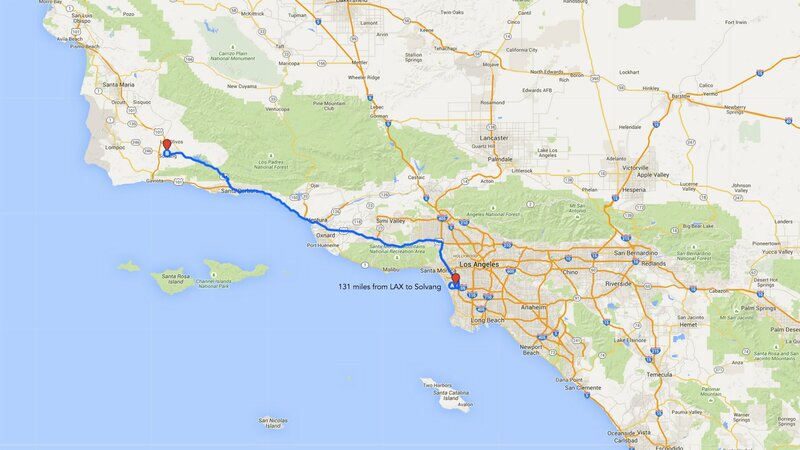 An easy 125 miles (201 km) up the coast from Los Angeles and 300 miles (483 km) south of San Francisco and 384 miles southwest of Las Vegas, Nevada. 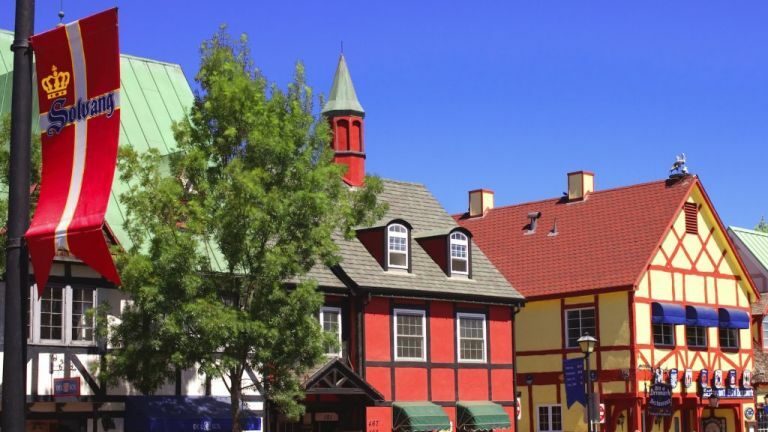 Solvang has a rich Danish heritage. 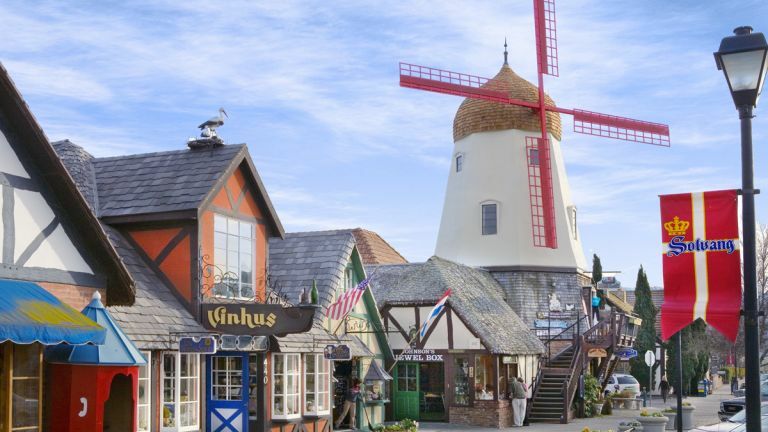 Founded by Danish immigrants in 1911, Solvang boasts authentic architecture, thatched roofs, old-world craftsmanship and traditional windmills. 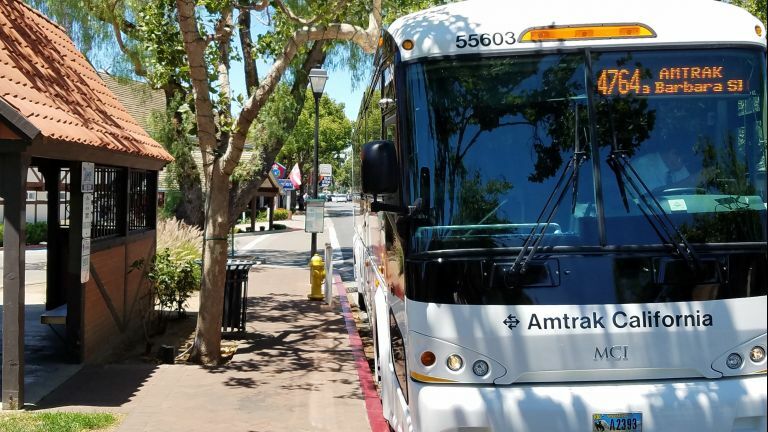 Situated just a mile from the intersection of State Highways 154 and 246, Santa Ynez celebrates the area's western heritage. Danish tradition holds that the presence of a stork on a rooftop wards off lightning and brings good luck. 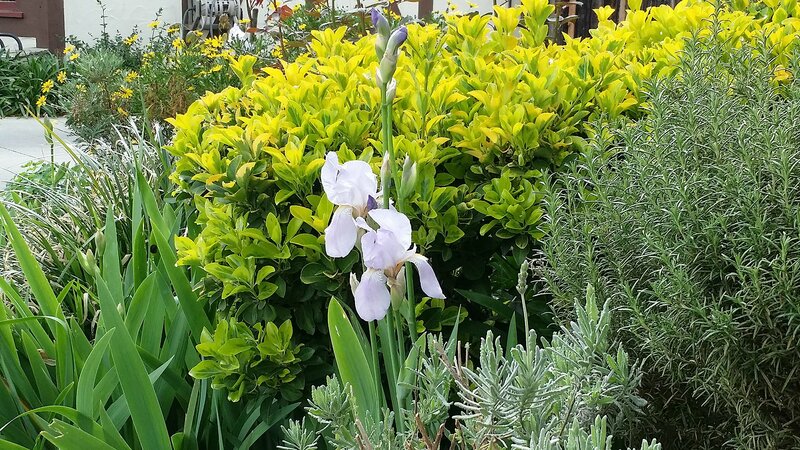 Solvang has free parking and there are three public parking lots.